As all of us who work with children know – stress and anxiety are not only for those with bills to pay and families to feed. Last week in my kids’ yoga class one of the boys was acting unusually defiant. He was acting out and not following the rules to the point where he ended up crashing into one of the other kids in the class. No one was permanently injured – but he was not happy to be sitting out for part of the game we were playing. This was near the end of the class, so when we finished he left the yoga class sullen. He slumped onto the bench beside his mom who was picking him up. Of course she wanted to know what was wrong and I joined in to talk about what was happening. It turned out my student was having trouble with one of the other kids at school who they called a Bully. The bully was making fun of my student because he sometimes stutters. Plus the bully was always telling everyone what to do and generally trying to be the boss of the whole soccer game at recess. No one likes the bully! My student, who not only has the stutter going on but is a small sized kid too, especially dislikes the bully. He couldn’t think of one nice thing to say about that kid (I asked if there was one – nope there wasn’t). The only solution he could see was to become a bully too. He wasn’t open to any other suggestions nor did he care about the consequences. But his mood lifted as he talked about it and as he headed off home I told him I wanted to hear how it was going next week. This got me to thinking how so many of our problems are caused by thinking of what we don’t like, and even starting to become like it! Like my meditation teacher would say: we become like a fly who will sit on a beautiful cupcake, then sit on a pile of manure. For my student, good thinking and bad thinking are lost, just like that fly landing on anything it can. In Part One of this post about Kids and Anxiety lets examine what thought is. Worm Thinking: worms crawl around in mud and darkness only think of what is right in front of them. Everything goes in one end and goes out the other. Worm thinking is when we just think of what is happening right now based on the way everything is right now, without any thought that we could think any other way. Fly Thinking: when you see a fly at a picnic what does it do? It becomes a nuisance and a bother because it jumps from here to there. One minute it is on the ground, one minute is it on a pile of poo, then it lands on your cupcakes or your arm. It doesn’t discriminate between where it lands, it just keeps buzzing and hopping around. Someone who things like a fly will do the same thing with their thoughts. They’ll think of an amazing thing that could happen then think of the worst thing that could happen, they allow all of it. Just like a fly, your mind goes here and there and lands in some pretty gross places. Bee Thinking: How does a bee live? Well a bee lives on the nectar of flowers. They will fly through the air and look only for the sweetest part of the blossom. Bees don’t even eat flowers, they eat the nectar of flowers! 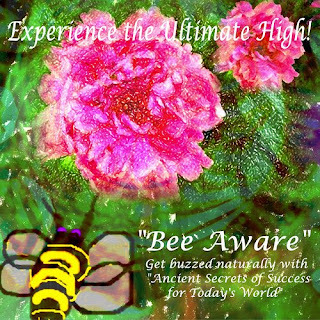 When you are a bee thinker you will only spend your time on thoughts that will uplift you. In class you can talk about these Three Types of Thinking and kids will contemplate what kind of thinking they do. In Part Two I’ll update you on the progress of my student and the bully. We know, when kids don’t figure out how to deal with bullies – they end up facing them over and over again. Many kids who are bullied and switch schools to deal with it, end up being bullied at the new school as well. Let’s examine what yoga and mindfulness tools can empower kids to handle the situation for themselves. Just found your blog and I'm really enjoying it. This audiofile on Worm, Fly and Bee Thinking is really great. I must be on a roll because I've been getting similar "Bee Thinking" messages for the last two weeks. Today’s fast-paced lifestyle coupled with the economic downturn as resulted in rising stress levels amongst the populace. Add to that the anxieties of inter-personal relationship issues and we have a recipe for disaster. Not to worry! With the plethora of holistic healing modalities available to us today, we can now take our mental and physical health into our own hands. In fact, many treatments for anxiety are low-cost and some are even free! Let’s start with a free one; turn off the TV! That’s right. Much of our anxiety comes to us via the media. Just for a day or two see how you feel without television news beaming doom and gloom into your living room. Put on some soft instrumental music instead. Light some candles and run yourself a hot bath. Just thinking about it makes me relaxed! Thanks Ganga – I love the Bee Aware Campaign -that would be a fun code word/vocabulary to use in kids yoga class. It’s amazing how disconnected the worm and the fly are from their own experiences. The bee is in tune with the body and the feelings of landing on the most precious flowers and drawing the nectar. With aimed focus the bee produces the honey. The more I meditate and contemplate on the Four Proclamations, the more easily I can shift into instant awareness. “Bee Aware” is my new campaign wherever I go.